The last time I caught up with Kevin Meehan, it was April 2012, and he had just started up his Kali Dining underground "supper club." The series ran for three years, and during that time, the Chef was able to garner enough investor interest to open his own restaurant. In August 2015, it was announced with much anticipation that he'd taken over the old Midtown Bar & Kitchen in Larchmont. Joining Meehan in the venture is none other than Drew Langley, former Providence Wine Director and a longtime friend (the two had worked together at L'Orangerie, Bastide, and Citrine). 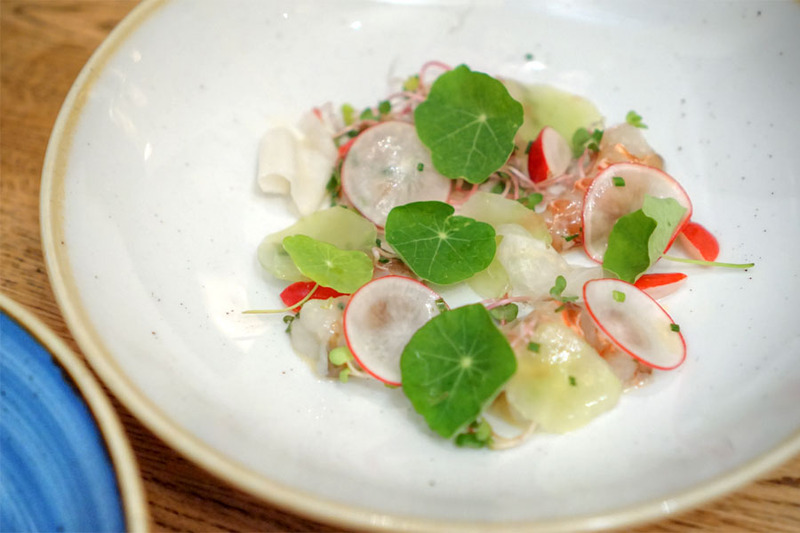 Kali debuted at the end of January last year and was largely well-received, evening achieving top new restaurant nods from both LA Weekly and Los Angeles Magazine. What they're shooting for here is a casual-yet-fine-dining, neighborhoody-but-not-really restaurant serving contemporary Californian cuisine. It's a place that I'd wanted to visit for well over a year now, so I'm surprised that it took me this long to check it out. Prior to housing Midtown Bar & Kitchen (which was backed by Osteria Mamma's Filippo Cortivo), the Hollywood-adjacent address was previously home to Mexican eateries Pueblo Viejo and Zumayas. The 2,000 square-foot, 65-seater space hasn't actually changed too much from its days as Midtown, though it is a bit less mid-century, a bit cozier. 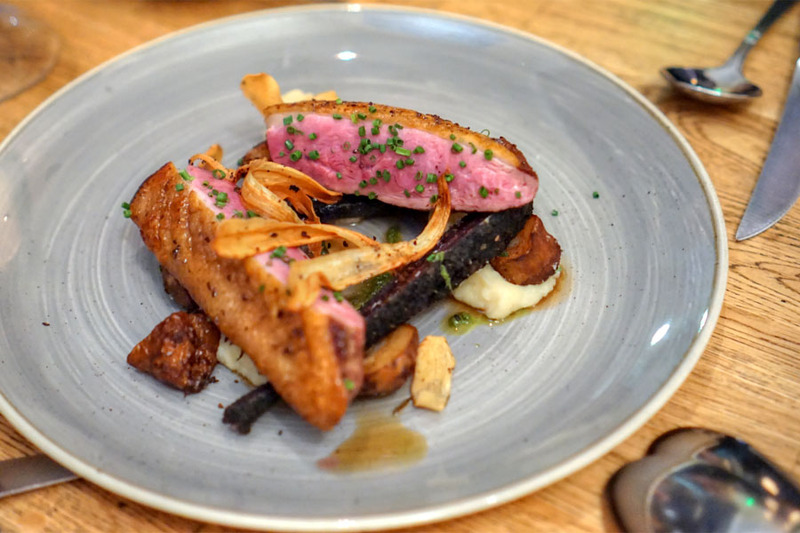 Meehan's menu ostensibly features only product sourced from within the state, and is divided simply into sections for smaller and larger plates. There are also two tasting menu options, though we opted for à la carte given our large party (we ended up "running the gamut" and ordering everything on the menu). 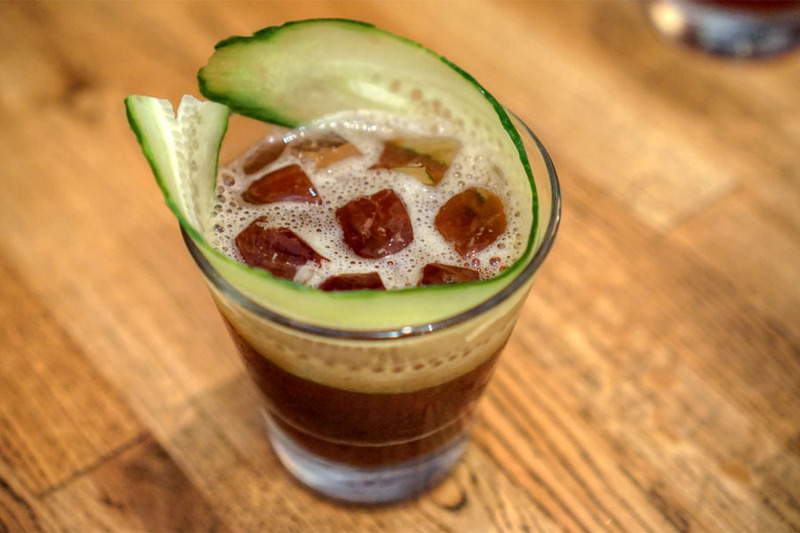 To drink, Langley's got a compact, seasonal cocktail list and a decent array of beer to boot. The wine list is relatively brief, but accessible and interesting, and is split into "Everyday" and "Collection" selections. Click for larger versions. 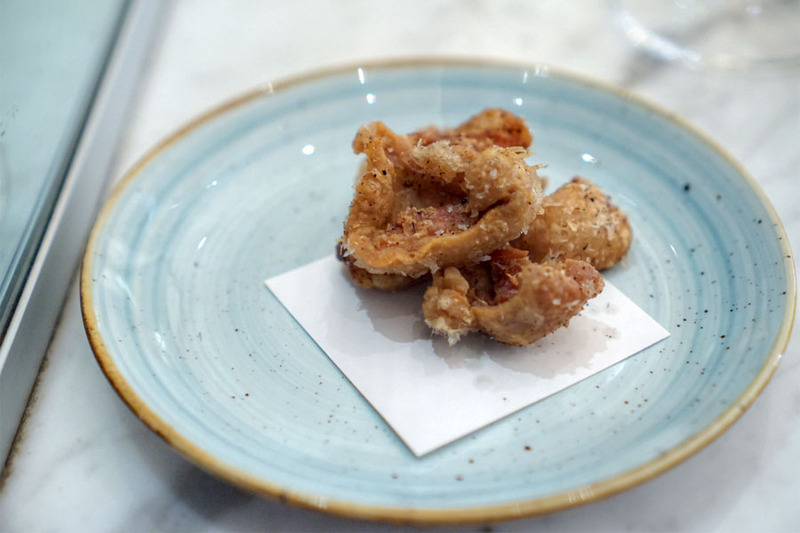 Our table wasn't ready when we arrived, so Meehan sent out some complementary fried duck skins (and sparkling wine) while we were waiting at the front door. Think crunchy and salty, with more depth than your typical chicken version. 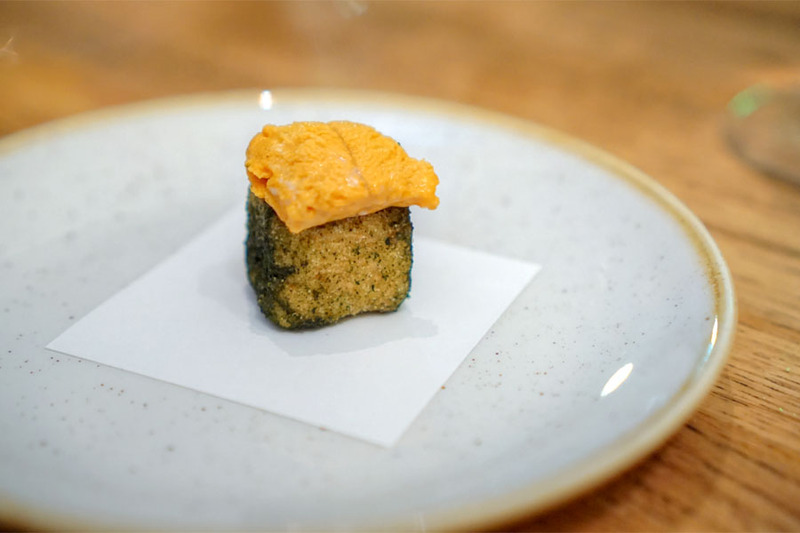 We requested the amuse bouche course from the tasting menu, which comprised a crispy polenta cake dusted with local kale, then topped with sea urchin. It was a fun bite, and telling of the meal to come, with the sweet brine of the uni doing a bang-up job evening out the hot, crispy, almost bitter character of the polenta. We ended up trying all the cocktails, not surprisingly. 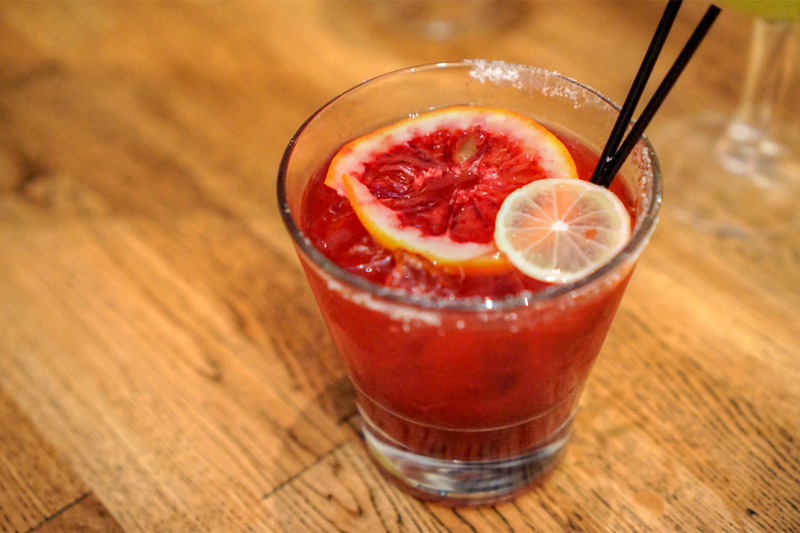 Our first gave us a nose rife with sweet spice from the potato liqueur. The taste showed off more of the same, along with a cherried element from the Heering and tempering bitterness and booze. 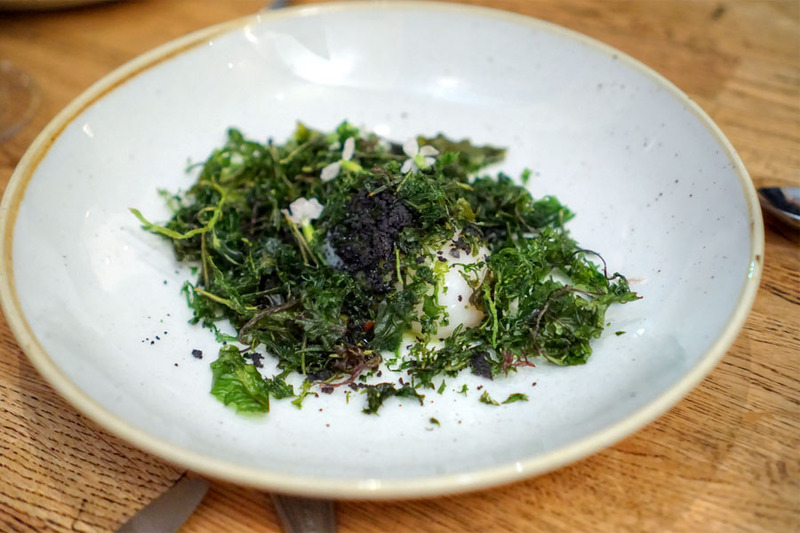 Also unique to the tasting menu was this sous vide'd duck egg, served with a "forest soil" composed of stinging nettle purée, garlic ash, fermented stems, and fried arugula. I was a fan of how forcefully the smokiness, earthiness, and bitterness of the "soil" was conveyed, and how that went back and forth with the richer, more luxurious nature of the egg, though I will that said egg could've been runnier. 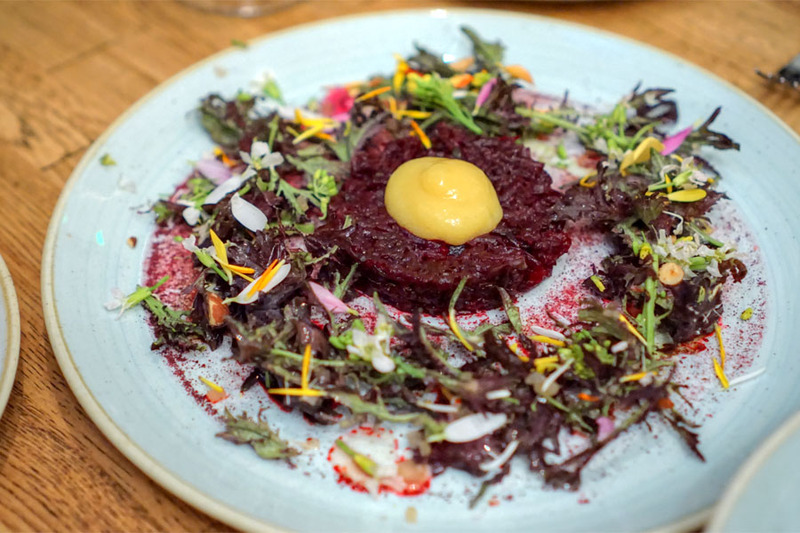 A new-school tartar brought the musky sweetness of beet to the fore, balanced out by the astringency of those greens while the almond added a nutty textural component. Also interesting was the house-cured lemon, which added a punchiness to the dish. 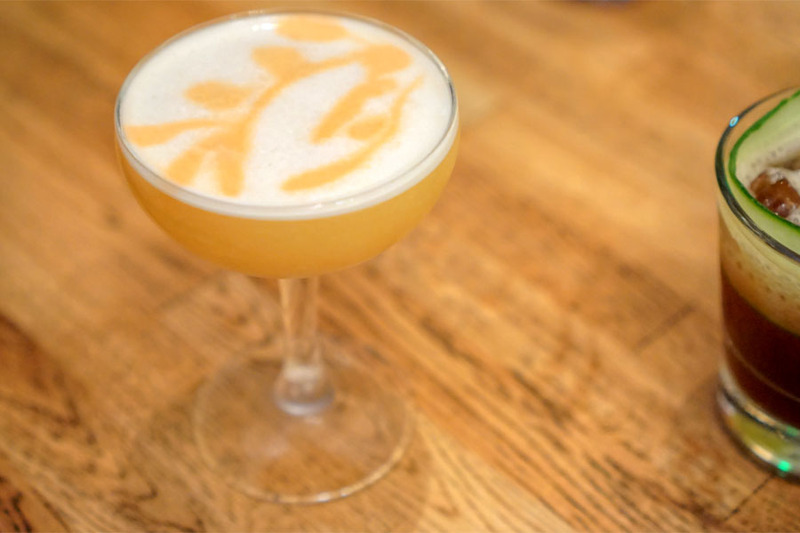 This stenciled cocktail smelled strongly of medicinal, piney spice. 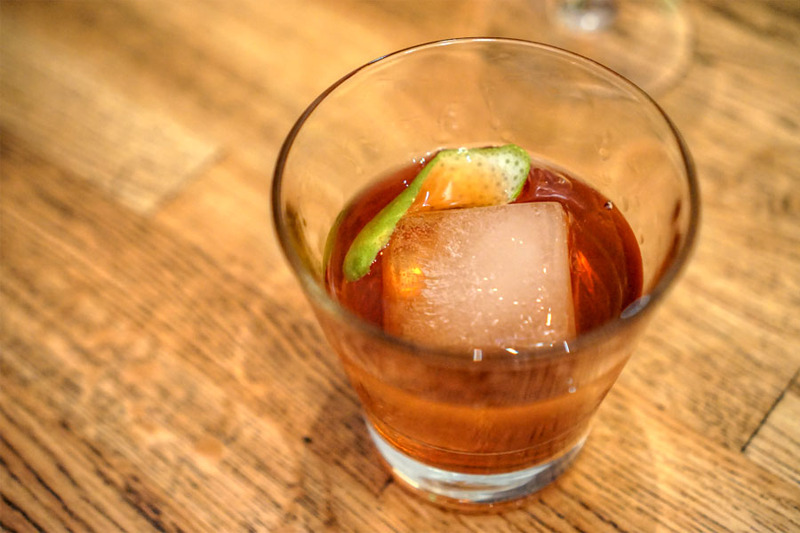 The taste went in the same direction, bringing forth complex bitter, herby nuances that matched the whiskey and the drink's fruitier notes. This was one of the most interesting, and most delicious presentations of yellowtail I've had in recent times. 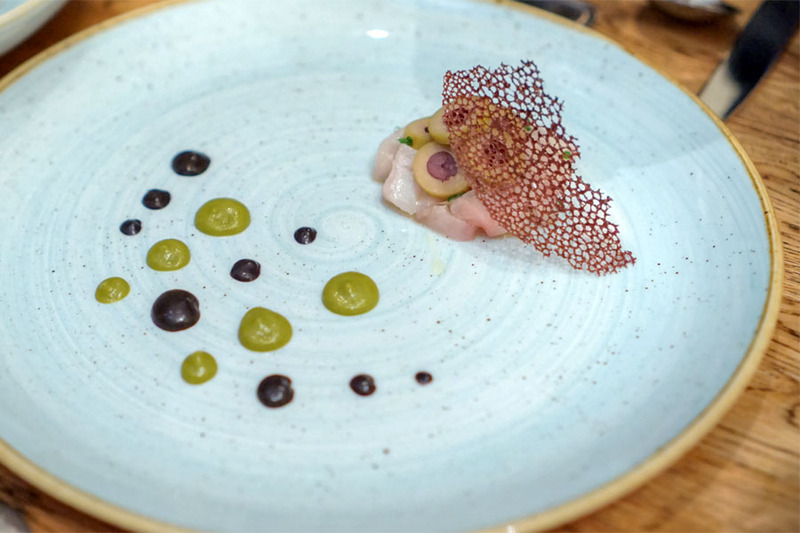 As expected, the hamachi itself had its brine, its fattiness working for it, but the crux here were the olives, and how their piquancy offset, but never overpowered the richness of the fish. 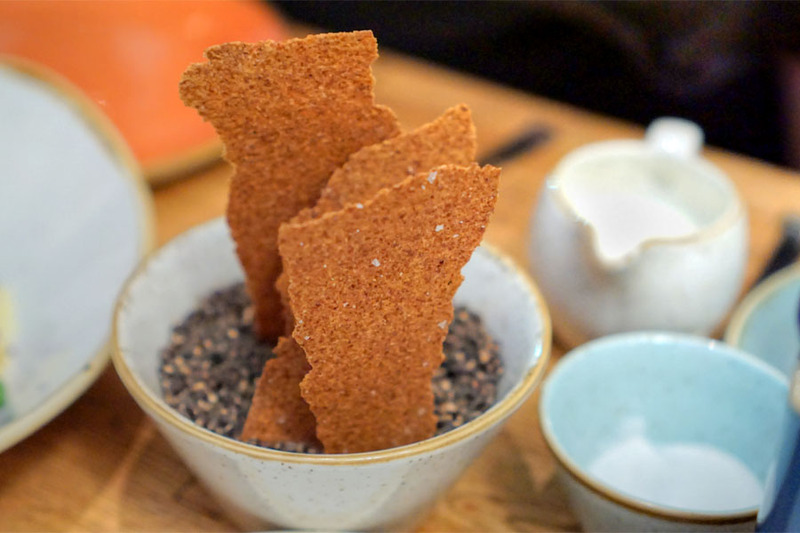 Great crunch from that tuile, too. 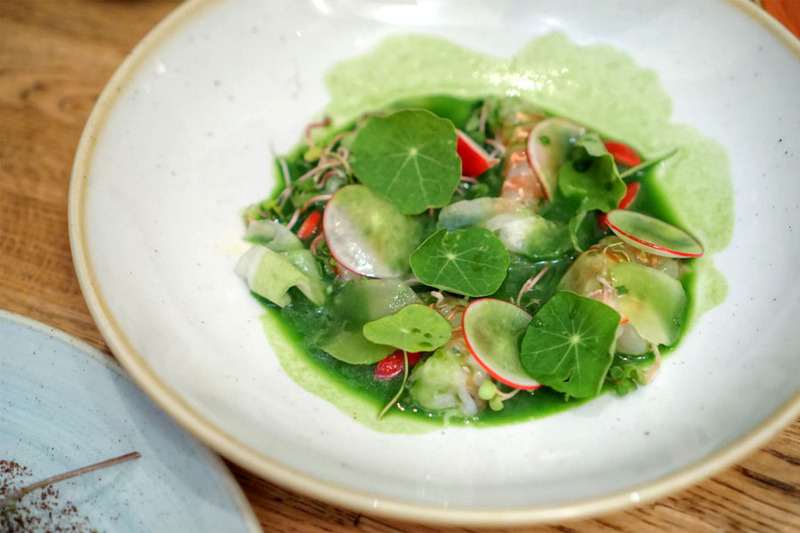 Prawns from Santa Barbara were a combination of snappy, supple, and creamy, with a sweetness that matched swimmingly with the vivid, tangy flavors of the greenery present. 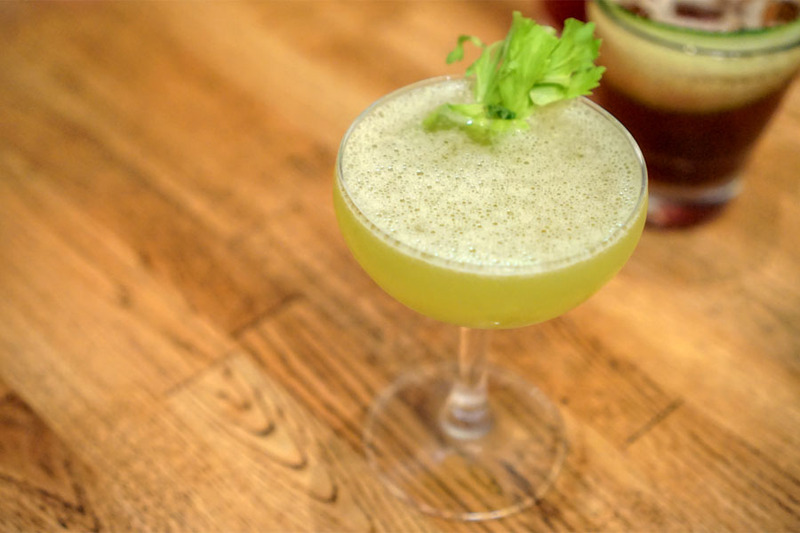 Our next cocktail showed off light, refreshing aromas of cucumber, set against bitter, spicy, and boozy notes, the ginger adding an underlying zestiness to it all. 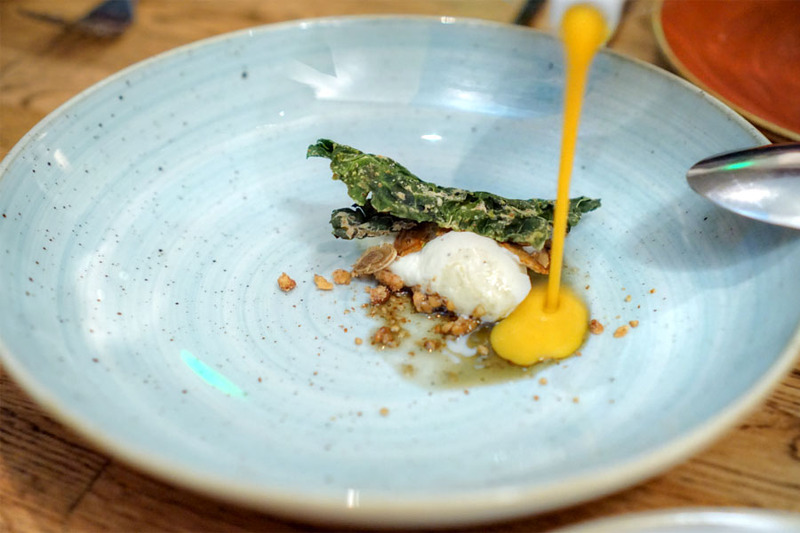 The lushness of burrata was well-played, beautifully complemented by nutty, crunchy granola and the juicy, bittersweet bite of citrus and all the various vegetation. Here we had a dish that's one of Kali's most popular, and I can see why. 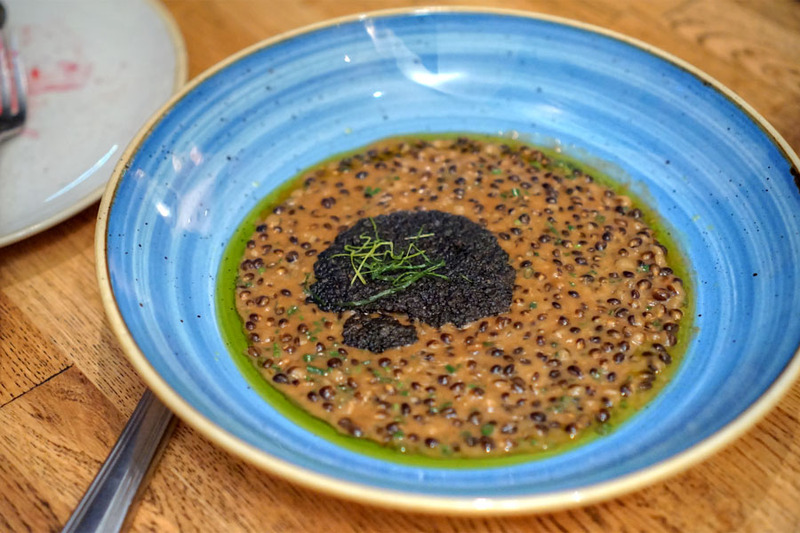 Barley came out satisfyingly textured, with a deep, nutty taste that was enhanced by the dish's black garlic broth. Wheatgrass provided a bit of a counterpoint, while the cheese crisp on top served as a further point of interest. This was something I could just easily take down a big bowl of. This cocktail was one of the more challenging ones we had. It displayed vegetal, almost savory qualities, with plenty of herbaceousness. In fact, the juniper and Chartreuse seemed to amplify the inherent botanicals in the gin. 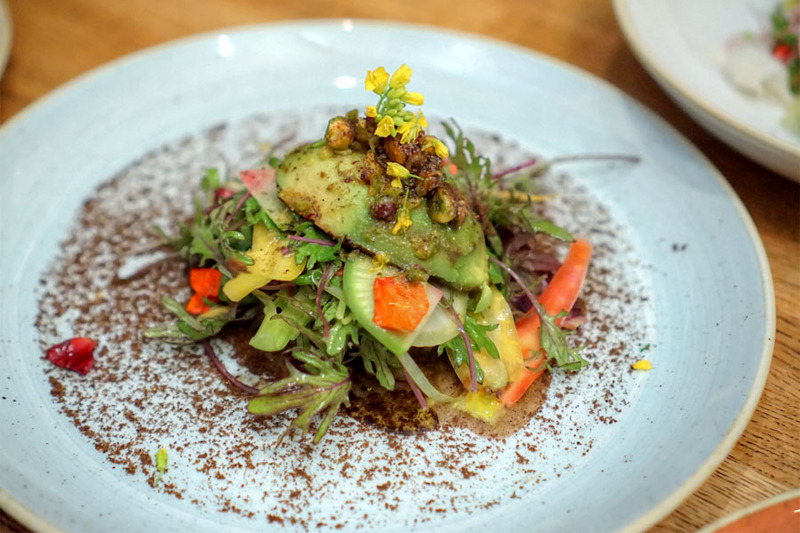 The avocado was another standout, its creaminess augmented by both sweetness and smoke as well as the nutty crunch of pistachio. A mish-mash of veggies, meanwhile, provided for a bit of a bitter contrast and served as a finishing stroke for one of the most creative avocado dishes I've ever encountered. 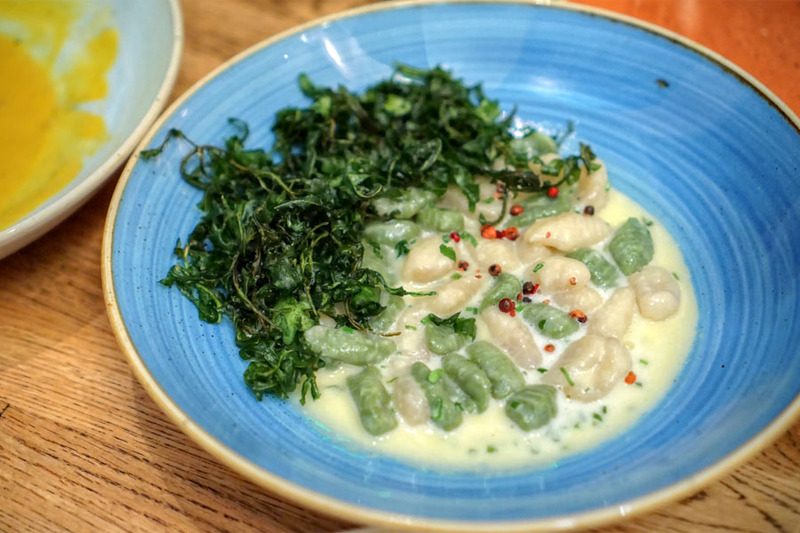 Cavatelli were firm to the bite and served as apt vessels for the sheer creaminess of this pasta course. The arugula, fortunately, moderated the potential heftiness of the dish, as did the peppercorn, though I could've used more of the latter. The evening's mezcal cocktail was surprisingly light. I got a fruitiness at first, with the smokiness of the spirit only coming in later, joined by a squirt of lime and just a trace of jalapeño heat. Very salty rim on this one, too. 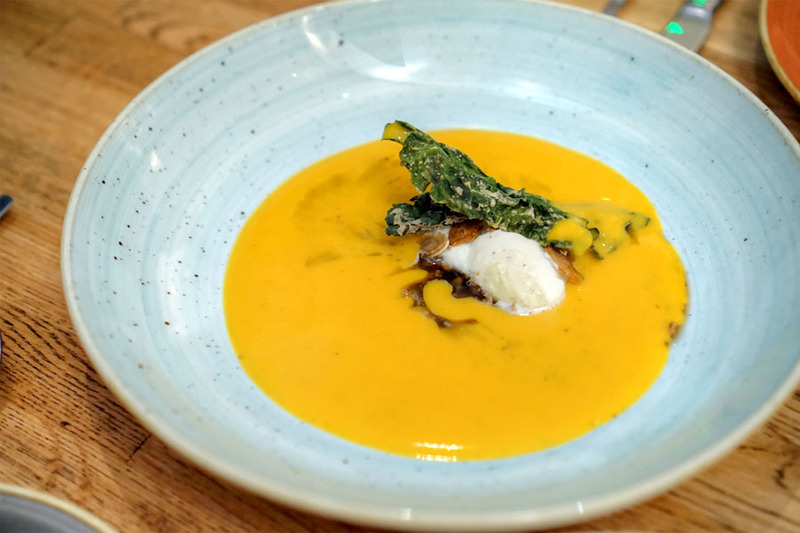 Here, the marriage of squash, crème Chantilly, and vanilla veered overly sugary, though fortunately the nuts and greens made for a modicum of balance. Probably the weakest dish of the night for me. 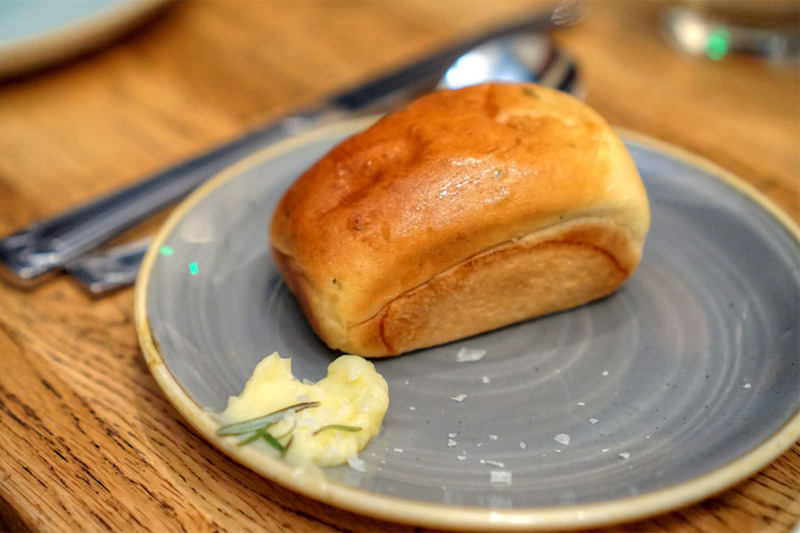 Bread service tonight comprised a housemade buttermilk-rosemary roll, a dense-yet-delicate creation with subtle rosemary that was served with a wonderfully soft, salty butter. Our penultimate cocktail delivered delightful aromas of sweet baking spice all over the place. 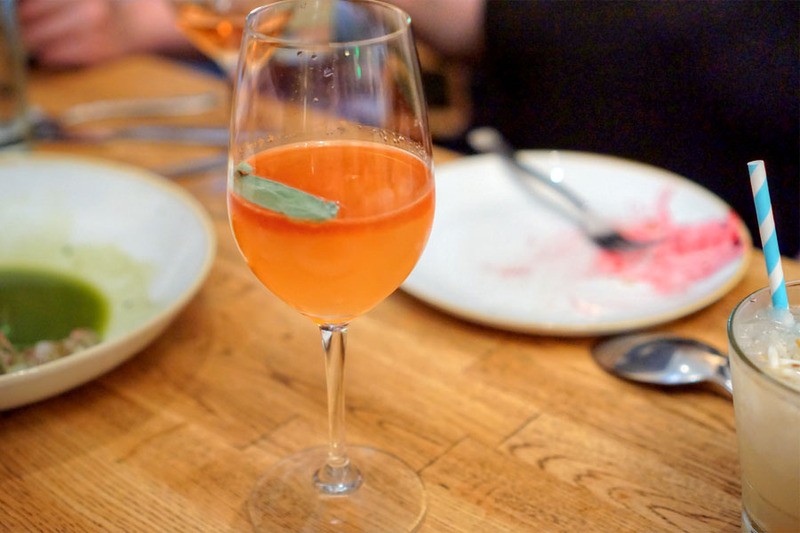 The palate, fizzy from the rosé, followed a similar path, with more autumnal character joined by a persistent bittersweet, herby quality. The cod was a further favorite of mine. The fish arrived expertly cooked, with a nice sear. The key, though, was the interplay between the brightness of the peas and the sweetness of the chocolate. It's surprisingly effective combination (one that I first encountered with Jeremy Fox) that really made the dish for me. Loved the nuttiness from the almonds, too. 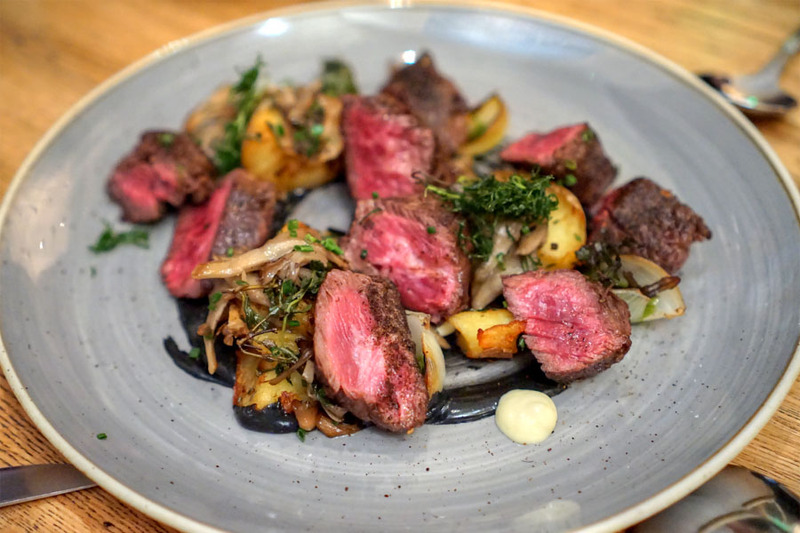 Onglet came out tender and super flavorful, and meshed seamlessly with "traditional" accompaniments of potato and mushroom while the sabayon worked as the most interesting element on the plate. Nice zippiness from the onion as well. 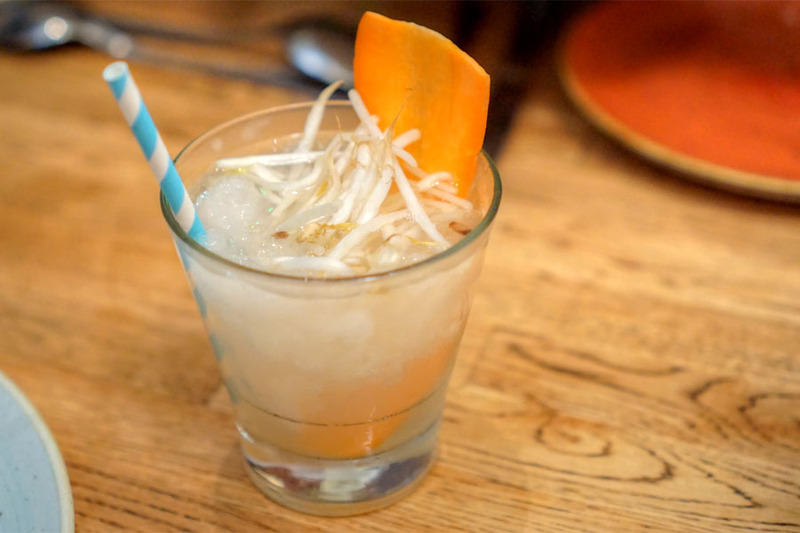 This pad thai-inspired cocktail actually reminded us more of a pho broth than its namesake. Very aromatic, slightly bitter, with plenty of herby, peppery, basil-y notes. A bit of a challenge. 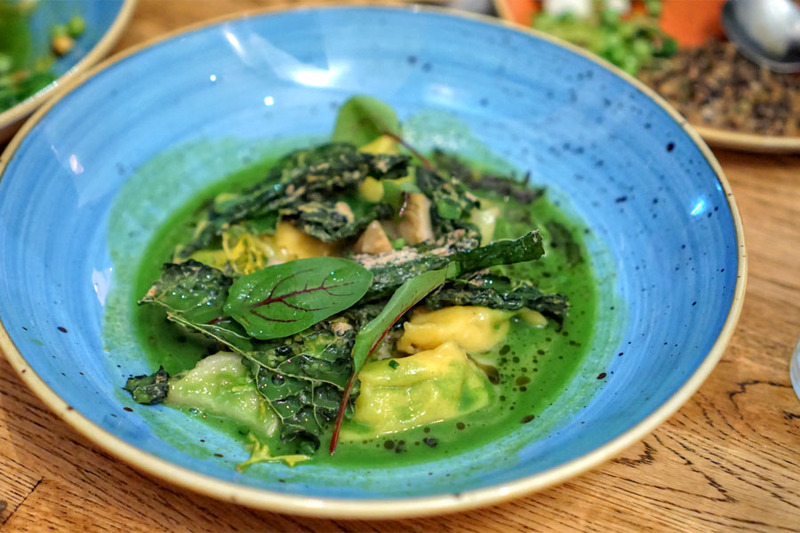 Agnolotti were sweet, soft, vegetal--a bit one-note on their own. 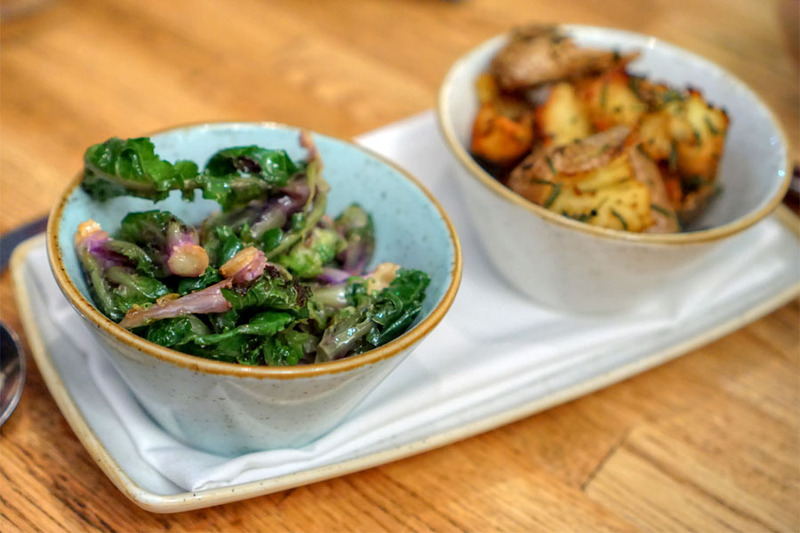 Thankfully though, we had the turnips, which gave things a well-placed kick of salt and smoke that lifted the dish. Duck was beautifully-cooked, just brimming with bountiful amounts of earthiness and savor. I was a fan of the bird's crispy skin, as well as its sweet, sugary edge. Very nice with the root vegetables. 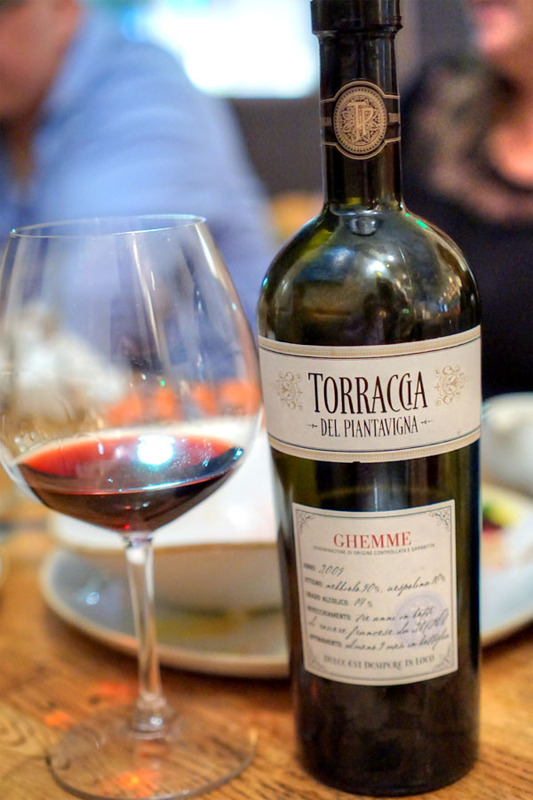 Wine-wise, we went with an off-menu selection suggested by Langley, the 2009 Torraccia del Piantavigna Ghemme [$60], a Nebbiolo blend from Piedmont. Nose was rife with rich fruit and utterly perfume-y berry. The taste was definitely more austere, going bitter, tannic, with a strong herbiness and a distinct licorice character. Quite mature. 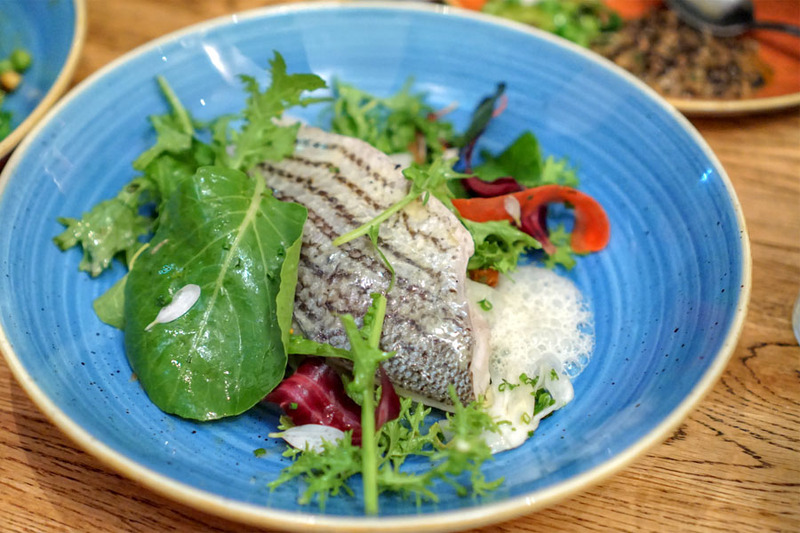 Bass came out supple, juicy, with a refined brine that dovetailed well with the sharp flavors of the fennel and the fish's other Mediterranean accompaniments. 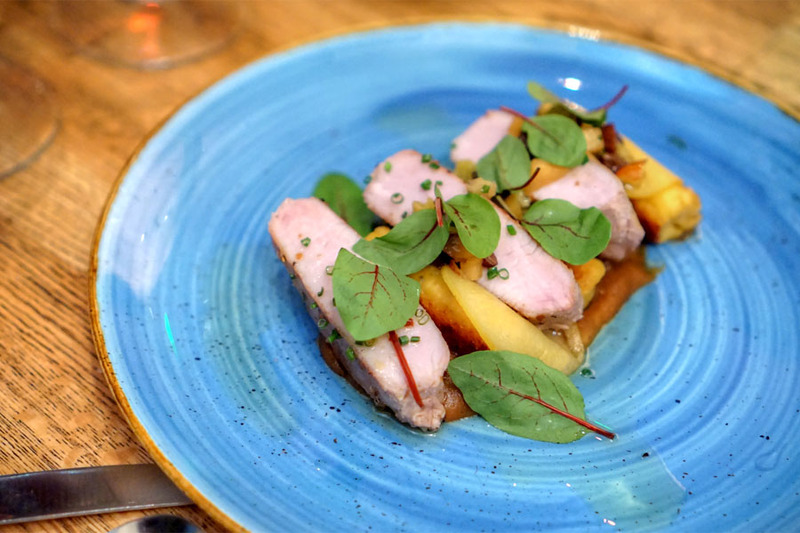 I was quite a fan of the pork too, especially its tenderness and exquisitely herby flavors. Apple and raisin, meanwhile, imparted just a smidge of sweetness. 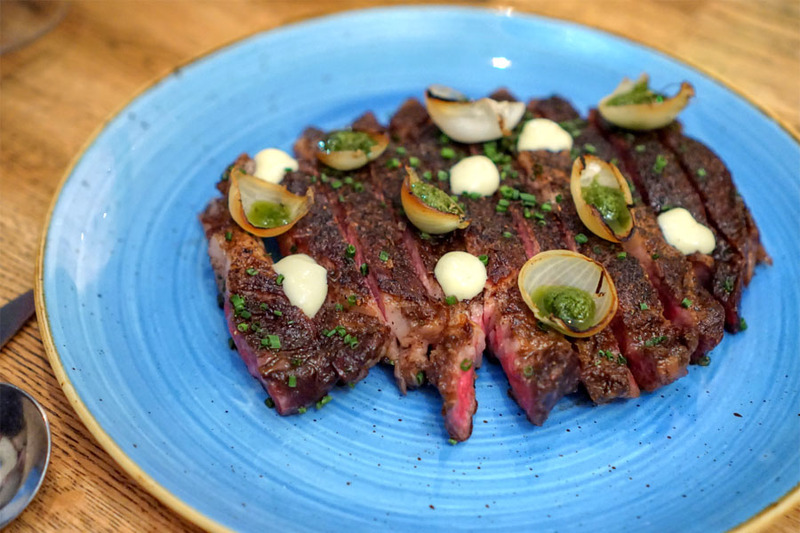 We ended our savories with easily the most substantial dish of the night, and one of my unquestionable favorites: a ribeye cut of Flannery "California Reserve" Holstein beef, dry-aged for 45 days. It was some of the tastiest steak I've had in a while to be sure. Flavors were super concentrated, super earthy, like meat is supposed to taste. Texturally, I found it tender, but still with a bit of a bite, and I appreciated the crust as well. Accoutrements included bitter sprigs of baby sprouting kale and some hearty, herby roasted potatoes. Kali's dessert menu matches the savories in theme and aesthetic. 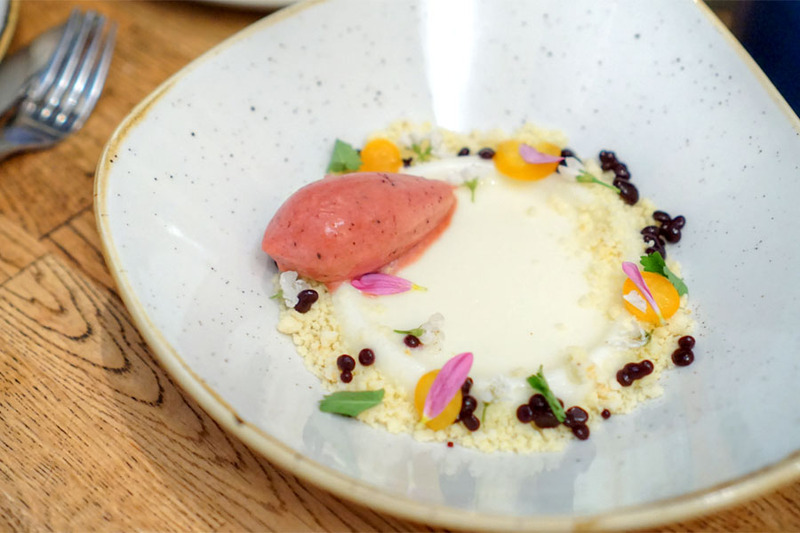 It's the work of Pastry Chef Susan Bae, an alumna of Girasol, North Italia, Quenelle, Jon & Vinny's, Charlie Palmer, Fig & Olive, Marché Moderne, and Lukshon/Father's Office. Click for a larger version. If Kali had a signature dessert, this would undoubtedly be it. 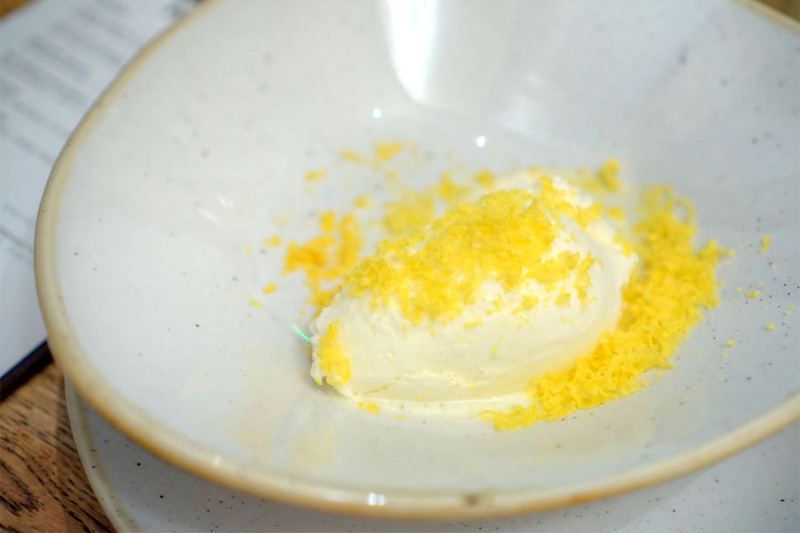 It's a loose quenelle of an absurdly milky, creamy gelato, tasty by itself, but also a foil to the salt and umami from the egg yolk drizzled on top. It's an unlikely combination that works wonders. A must try. 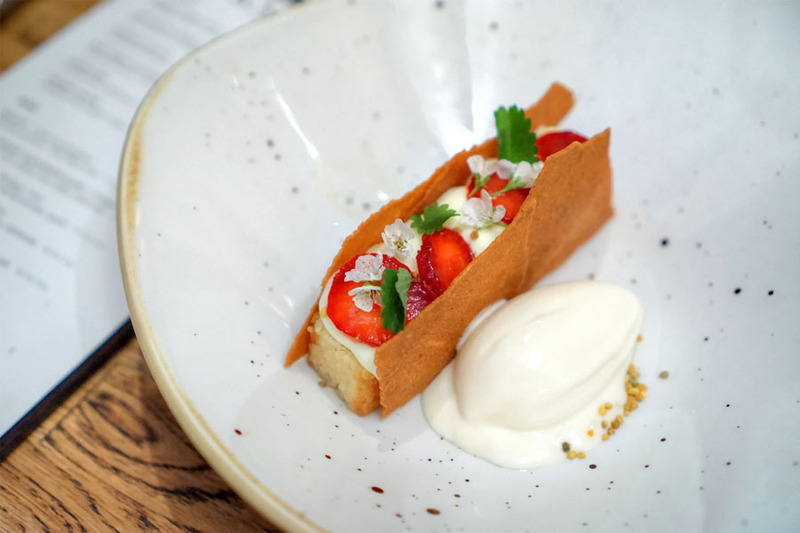 The shortcake was another favorite, giving us a superb medley of textures and a flavor profile that recalled strawberry Yan Yan(!). 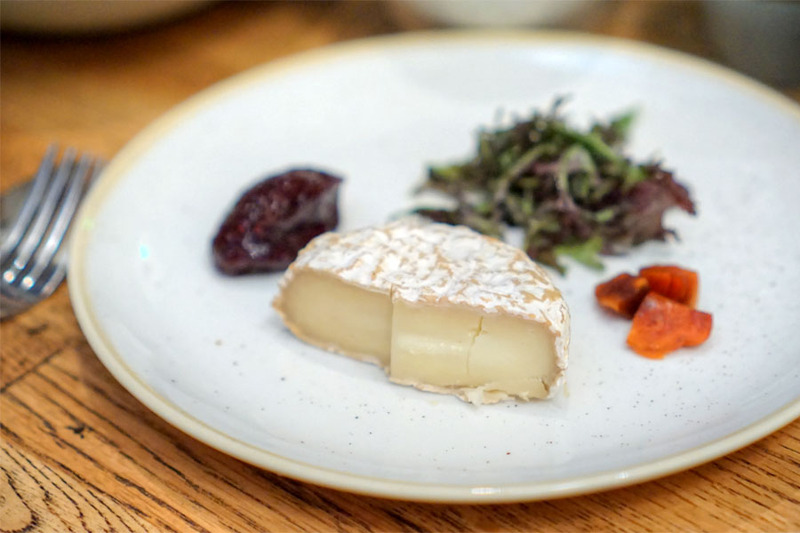 Our cheese course brought out a soft, sticky chèvre, one loaded with huge amounts of mushroom-y funk that worked hand-in-hand with the blueberry condiment provided. Lovely crunch from the wheat crackers, too. 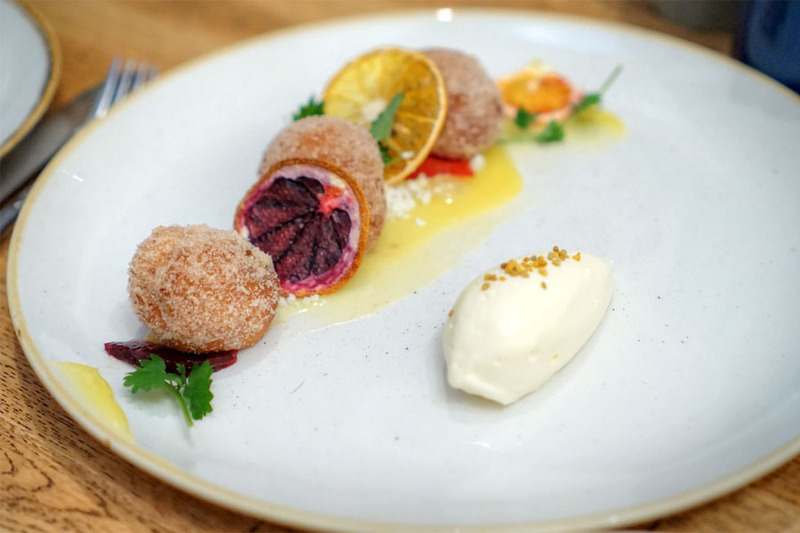 Donuts were light 'n' fluffy, dusted with plenty of sweet spice. I definitely enjoyed 'em alone, but the brightness of the various accompaniments certainly made sense when everything was taken all together. 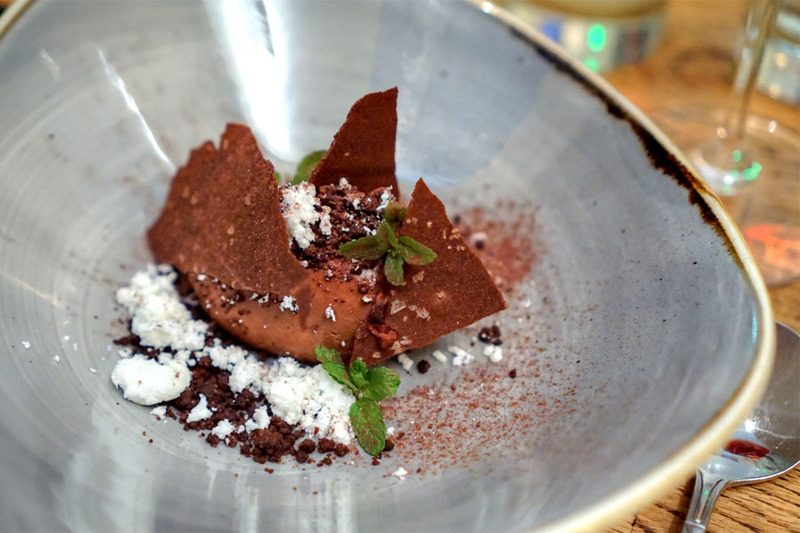 The requisite chocolate dessert combined bitter and sweet with some nuttiness, making for a cohesive dessert that satisfied texturally as well. 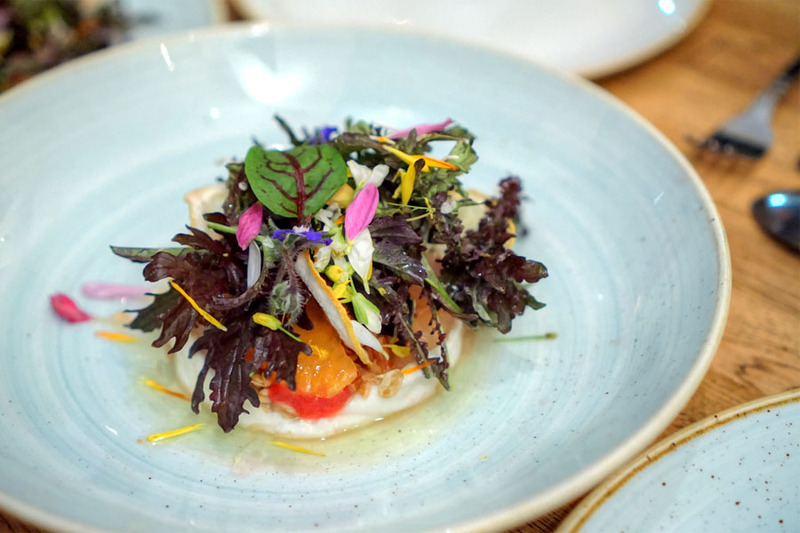 A subtly tart panna cotta played well with berry and citrus, all while opal basil imparted a refreshing herbaceousness. Light and easy. I was admittedly slow getting to Kali, but I'm sure as hell glad I finally did. It's all about balance here. 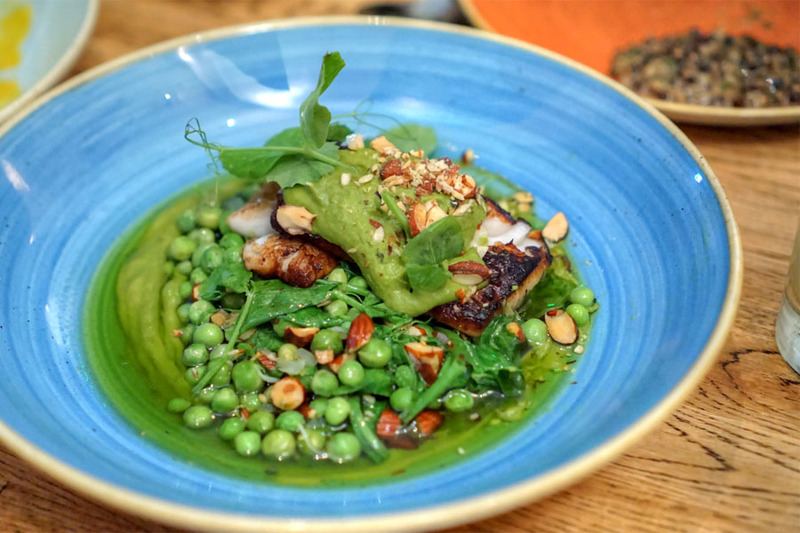 The restaurant's high-end in some ways, casual in others, simultaneously nonchalant and upscale, with cooking that strikes a middle ground between modernism and comfort. This extends to the service as well, which I found relaxed, personal, yet obviously polished. Kali fills a nice niche, and I hope it manages to stick around for a while. How does this place stack up against Din Tai Fung? Sometimes when I want a snack, I'll get a pack of Nongshim Shin Ramyun and eat it raw with the seasoning.